Remember Eric Taylor? the 15 years old teenager who became famous after hacking and releasing personal details of the CIA director, Donald Trump and so many other top celebrities was on Friday sentenced to three years probation, Washington Time reports. 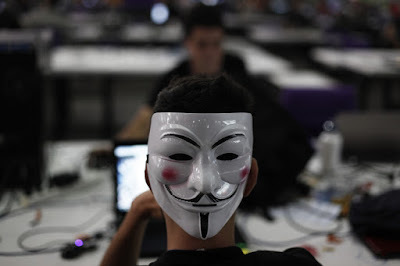 The hacker who goes under the alias of "Cosmos the God", was part of the infamous UGNazi (Underground Nazi Hacktivist Group) hacking squad that opposed the CISPA and SOPA bills using DDoS attacks, high profile data leaks and website defacement. Last week Friday, the hacker was sentenced to three years probation for series of attacks he carried out between the year 2011 and 2012. The hacking group also hosted a website at exposed.su, where they leaked personal information of Donald Trump, Michelle Obama, Hilary Clinton, CIA Director John Brennan, Attorney General Eric Holder, former FBI Director Robert Mueller. High profile celebrities such as Mel Gibson, Ashton Kutcher, Beyonce, Jay-Z, Paris Hilton, Britney Spears, Kim Kardashian and others. Personal information leaked by these hackers included credit card details, Social security numbers, home address and others. The group also leaked data from the Washington Military Department, defaced the UFC website, and also launched a DDoS attacks on 4Chan, Wepay, HostGator, the CIA, DOJ and many other sites. Shortly after his arrest, Eric Taylor was sentenced to two years probation in a juvenile court and he was forced to handover account logins and also banned from using the internet for anything outside school work. He was also banned from contacting other UGNazi and Anonymous members.